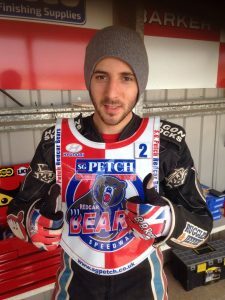 The SG Petch Bears have moved swiftly to cover for the injured Tobias Busch by signing Coty Garcia, pending clearance, on a 28 day loan period. Redcar would like to thank Berwick for their co-operation and hope that Coty can reproduce some of the form Bears saw from him last season. Busch has returned back home to Germany for rest and treatment on his injured ankle and has been informed he will be welcome back to the Media Prima Arena when he is fully fit and ready.